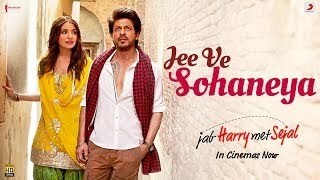 Jee Ve Sohneya Lyrics – Jab Harry Met Sejal starring Shahrukh Khan and Anushka Sharma: The song is sung by Nooran Sisters who sang Patakha Guddi in Imtiaz Ali’s Highway. The song has music by Pritam and lyrics penned down by Irshad Kamil. Tu chahe kisi ka hokar jee..